TICAD, or the Tokyo International Conference on African Development, has continuously evolved since the first conference in 1993. 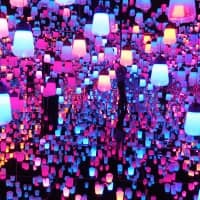 Held once every five years, the conference has attracted a rising number of participants as Japanese companies become more interested in Africa and vice versa amid the economic expansion of the African continent. At TICAD IV in 2008, about 3,000 people attended. The number of participating country leaders from the 54-nation continent has been rising at each TICAD, from five to 15, to 24 and 41. About 40 such leaders are expected to attend TICAD V.
The history of TICAD, organized by Japan, the United Nations, the World Bank, the U.N. Development Program and the African Union, can be divided roughly into two: the first three TICADs and TICAD IV, said Shinichi Asazuma, director of the African Affairs Department of the Ministry of Foreign Affairs. One obvious difference is that the first three were held in Tokyo while TICAD IV was held in Yokohama, where TICAD V will be held as well. But the more significant difference is that the participation of the private sector dramatically increased at TICAD IV. The trend for business participation has accelerated in the run-up to TICAD V, Asazuma said. “Generally, the center of discussion until TICAD III was ODA (official development assistance), debt reduction and countermeasures for tackling HIV/AIDS. However, in the 2000s, conflicts faded and the economy boomed in Africa. Business interest in Africa suddenly grew,” Asazuma said. “So at TICAD IV, Japanese businesses regarded Africa as an attractive destination for direct investment,” he said. The average annual economic growth in sub-Saharan Africa’s gross domestic product was 5.8 percent in the 10 years to 2011, he added. The reason Japan began TICAD was to bring global attention back to Africa, Asazuma said. In the early 1990s, global interest in Africa relatively faded after the collapse of the Berlin Wall in 1989 and the end of the Cold War. During the Cold War, capitalist and communist countries had raced to support African countries in order to expand their own blocs and spheres of influence. TICAD I was held in Tokyo on Oct. 5 and 6, 1993. Japan held TICAD II in Tokyo from Oct. 19 to 21, 1998. The conference emphasized African ownership and partnership. 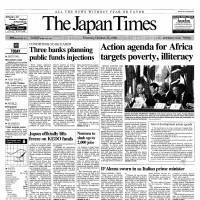 An Oct. 22, 1998, Japan Times article said that African countries and their development partners pledged to attempt to halve the extreme poverty of the continent and achieve universal elementary school education by 2015. To that end, Japan pledged ¥90 billion, mostly grants for education and health facilities, according to the article, citing the Tokyo Agenda for Action adopted at TICAD II. 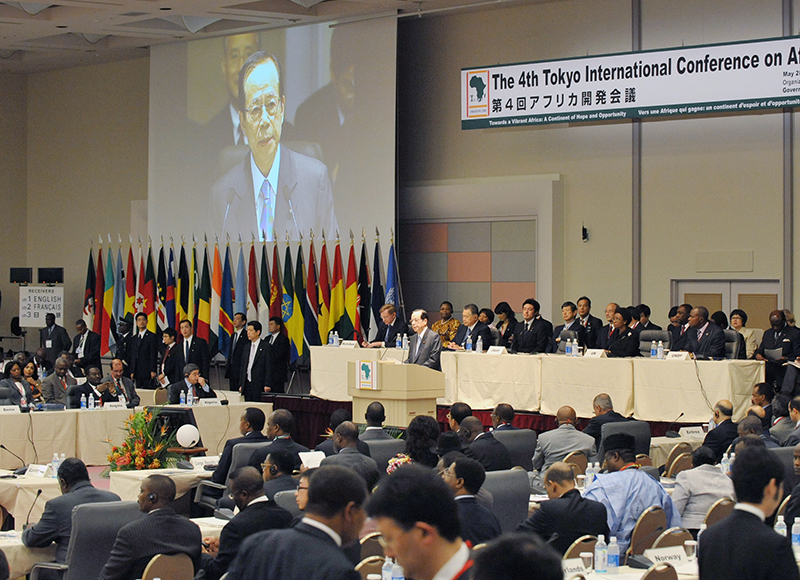 TICAD III was held in Tokyo from Sept. 29 to Oct. 1, 2003. 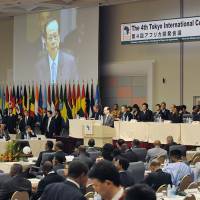 At the conference, Japan agreed to help Africa push for more ownership. Participating countries also agreed to expand partnership with Asian countries. The concept of human security grabbed attention. 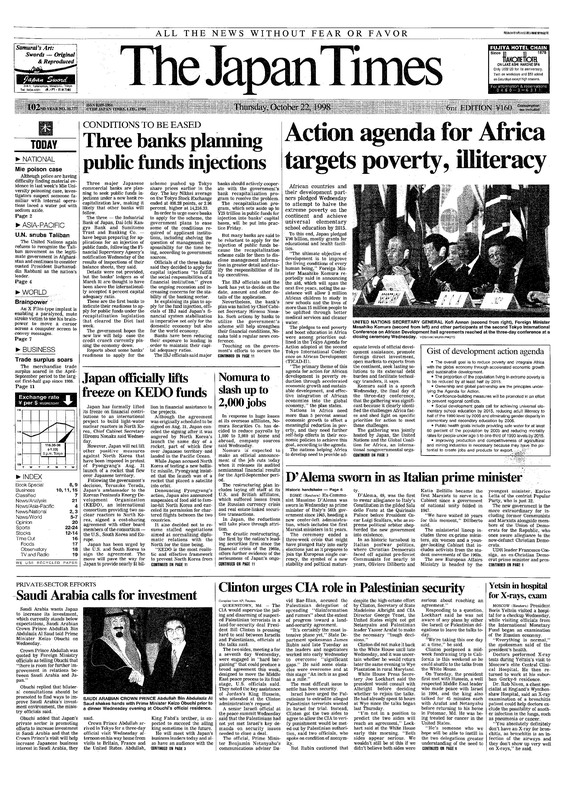 A Kyodo News article in The Japan Times on Oct. 2, 2003, said that the leaders of African countries and their partners voiced concern over the lack of a fair trade system, and country leaders pledged to support the African self-help initiative New Partnership for Africa’s Development (NEPAD). Former Prime Minister Yoshiro Mori, who was then a regular lower house member, was the chairman of TICAD III. Before adjourning the conference, Mori presented a summary of the top issues discussed, including the importance of peace consolidation, human security, and developments in infrastructure, agriculture and the private sector, according to the article. Also, participants adopted the TICAD 10th Anniversary Declaration in which they noted their disappointment over the World Trade Organization talks in September 2003, according to the article. At TICAD IV, held in Yokohama from May 28 to 30, 2008, country leaders established the TICAD Follow-up Mechanism, a system to track whether pledges made at TICAD were properly implemented. 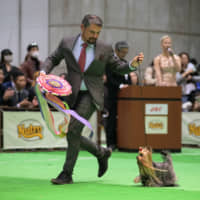 The Japan Times article on May 31, 2008, said the participants issued the Yokohama Declaration committing Japan and multinational organizations to promoting sustainable growth on the continent and to fighting poverty and climate change. The article also said that the declaration, subtitled “Towards a Vibrant Africa,” acknowledged the positive trends that have emerged on the continent since the previous TICAD meeting due to political stability and improved governance in many countries that had endured conflicts. TICAD IV was joined by delegates from 51 countries, including 41 country leaders, 33 other countries in Asia and other partner countries, 77 regional and international organizations, a number of companies and other organizations. “At TICAD V, the theme will be for Japan to help Africa accelerate growth. 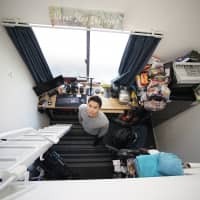 Not just growth for the sake of growth, but improving the quality of the growth,” Asazuma said. 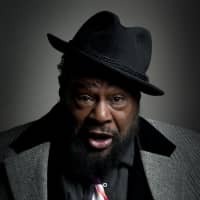 Discussions at TICAD V, whose subtheme is “Hand in Hand with a More Dynamic Africa,” will focus on how Africa can reduce reliance on natural resources for its economy, narrow the gap between the rich and poor and eradicate conflicts, he said. Prior to TICAD V, a TICAD ministerial-level meeting was held in Addis Ababa, Ethiopia, in March to come up with the next five-year plan. TICAD V will have further discussions of the plan among businesses and other organizations. “We will further strengthen the government-private sector alliance. We cannot expect ODA to be bigger. We should push the private sector,” he said, adding that Keidanren (Japan Business Federation) also boosted its support to TICAD. Japan invited 52 African nations to TICAD V, all but Guinea-Bissau and the Central African Republic, two countries where the government took power in an illegal manner, Asazuma said. The African economy has been growing with nominal GDP in sub-Saharan Africa more than tripling to $1.12 trillion in 2010 from $343 billion in 2000, while the nominal GDP of the world fell 5 percent in the same period, according to a Foreign Ministry pamphlet citing the World Bank’s statistics. Global business interest in the continent surged as direct investment into Africa rose fivefold to $55 billion in 2010 from $10.9 billion in 2000, according to the same pamphlet. Average annual direct investment to Africa from Japan more than quadrupled to at least $7 billion in the period between 2008 and 2012, from $1.7 billion in the period between 2002 and 2006. The degree of the growth is double the rate Japan pledged to Africa in past TICAD conferences, according to the ministry. 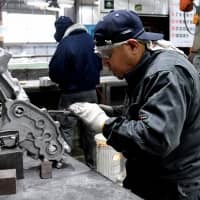 Trade volume between Japan and Africa rose 16 percent to ¥2.42 trillion in 2011 from a year earlier, according to the pamphlet citing Finance Ministry statistics. 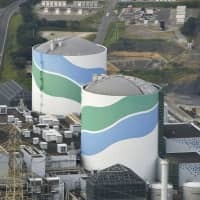 Of the total, Japan’s exports were worth ¥1.05 trillion and imports were valued at ¥1.37 trillion. In 2011, South Africa was Japan’s biggest export partner, followed by Liberia, Egypt, Kenya and Nigeria; in imports to Japan, South Africa was the largest trading partner, followed by Sudan, Nigeria, Equatorial Guinea and Egypt.